Choosing Acadiana Stor-N-Lock for your self-storage needs ensures you find the perfect storage unit in Slidell, La. Each storage unit at Acadian Stor-N-Lock is climate-controlled, well-maintained, and pest-controlled. Above all, we keep your belongings safe and secure. We pride ourselves on our customer service. Our staff cares and listens to the list of items you’re storing, move in date, and expected move-out day so you can be guaranteed to get the best unit for your needs. Our smallest storage space option. Can generally fit medium-sized pieces of furniture like a desk. 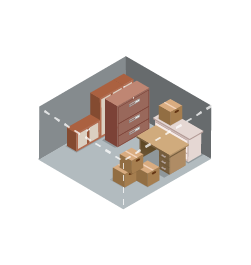 Optimal for storing smaller boxes and a couple smaller furniture items. Ideal for office supplies and seasonal items. 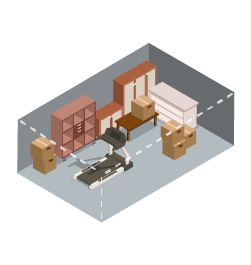 Can generally fit the contents of an average bedroom with multiple boxes ranging in size from small to medium. Good for storing a room’s worth of items during renovation or remodeling. 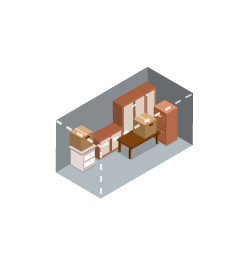 Can generally hold all the contents of a single bedroom apartment or of 2 full bedrooms. This is the ideal space size for storing appliances like a dryer, refrigerator, etc. 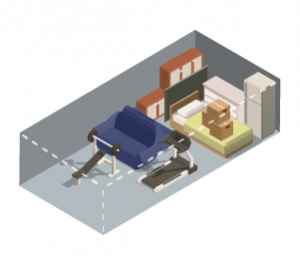 Can typically fit the contents of a double bedroom apartment or of 3 home bedrooms. This sized space is good for larger items such as a couch, mattress, or an entertainment center. Normally fits the contents of a 5-bedroom home. Perfect for customers who are moving to or building a new home. Able to hold several large appliances and furniture along with a healthy number of mid-sized boxes. Our largest storage space option. This space will hold all the furniture for a 5- to 7- bedroom home. 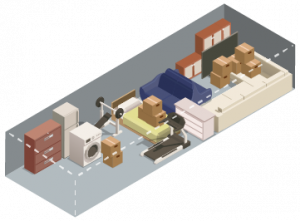 *Please only use this guide as an estimate reference for what each unit size can store. 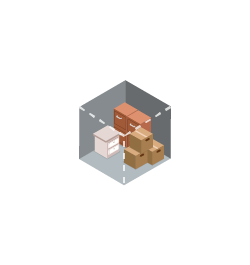 Results can vary by the size and dimensions of items. Hidden fees and costs will never appear when you use the best storage service in Slidell, La. Your bill looks identical to the prices we’ve set so there are no surprises. For pricing and availability, call Acadiana Stor-N-Lock in Slidell today!